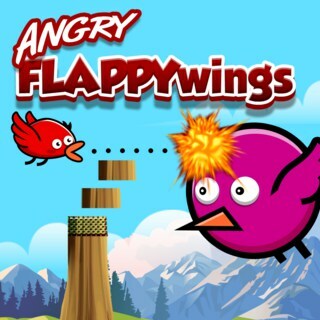 Flap your tiny wings and try to fly as far as you can with your angry little bird in this action-packed skill game. Fire bullets to remove trees and clear the way. Be careful - if you collide with any objects, the game is over! Collect powerful boosters and fight against mighty bosses which try to shoot you out of the sky. Play as single player or in two player mode with a friend on the same device to double the fun. How far can you go?